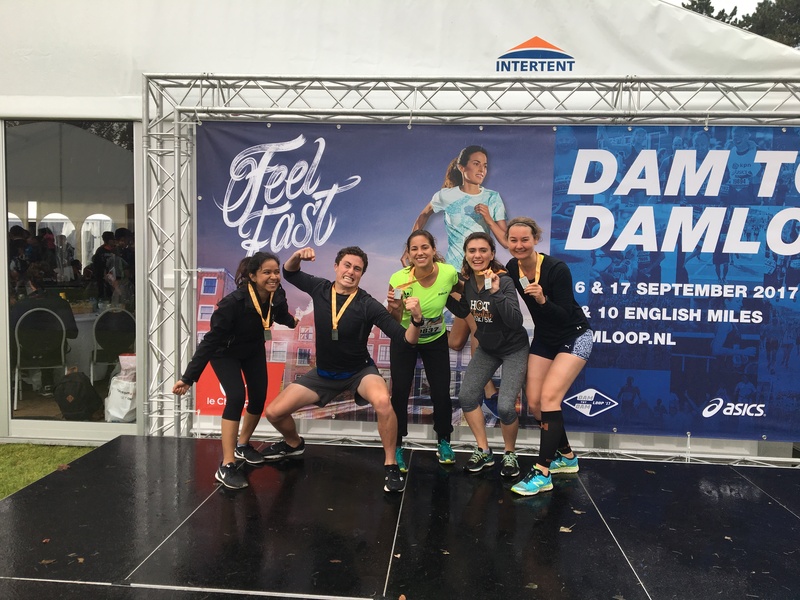 This past Sunday I had the joy of participating in the Dam tot Damloop, a 10 mile run from Amsterdam to Zaandam. 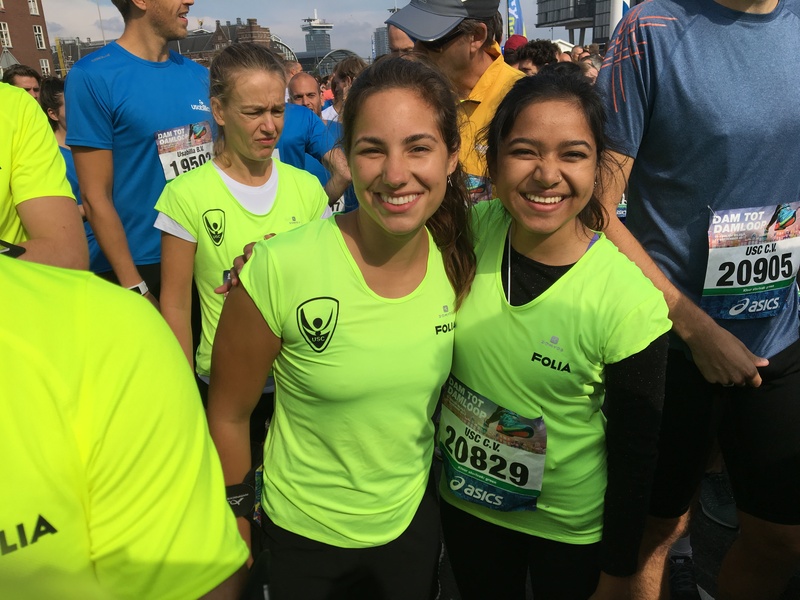 It is the biggest running event in the Netherlands with about 40,000 runners and is the only time you can run through the IJtunnel. I don’t consider myself a serious runner, so lining up at the start was more than a bit nerve wracking. As the announcer counted down from tien (ten in Dutch), I was more than thrilled to use my very new, and poorly executed, dutch speaking skills (courtesy of my beginning dutch course). Drie.. Twee.. Een.. Beep!! And we were off! One of the first landmarks is the IJtunnel. What is so amazing about the tunnel is that it is normally serviced as a highway, and is one of the two ways you can get from Amsterdam to Noord Amsterdam due to the body of water separating the two districts (the second way is by ferry). As I approached the downward entrance of the tunnel, a wave of thunder from the live drumming band in combination with the footsteps from the herd of runners washed over me. The adrenaline took over my system and an involuntary grin spread across my face. Taashi and I before the race! From the tunnel we made our way to Zandaam running on freeways, cobblestone streets, and bike paths (ha! take that bikers!). I ran with Taashi, a fellow IES abroad student, for the first 8km (fistbumping at every kilometer) before I took off and found my own stride. While I found it challenging to run by myself, I made personal goals in order to not only keep myself motivated but to keeps others energized as well. My three challenges were to wave back at as many people (that waved to me) as possible, to applaud (and dance to) all the live musicians and DJ’s that were set up along the run, and most importantly.. give as many high fives as possible. The spectators along the way were so fun to interact with, and many homes were generous to give out water and citrusy treats to runners. At the 14 km mark the crowds became more dense and so did thepercentage of people drinking beer and becoming a little more than rowdy. While I may have been going slow compared to all the people who had finished before me, I felt like a superstar running the last 2.1 km. It was an unreal experience to be inside the metal barriers running rather than standing and spectating. Around the 800 meter mark I let my stride take control and started sprinting. Simply seeing the finish line approaching was ever so rewarding. When I finally crossed the line I felt a wave immediate relief and pride wash over me (could’ve been sweat too.. tbd). While I had my doubts about finishing the race, I am more than proud to say that with no training and a self-diagnosis of being a “non-runner”, I was able to take part in one of the biggest races in the Netherlands. This run was much more than a physical accomplishment and a hell of a good time. This opportunity provided me with the sound reminder that with enough determination and support, you can do anything if you’ve got the right attitude. This entry was posted in Uncategorized on September 22, 2017 by Mary Kampa. 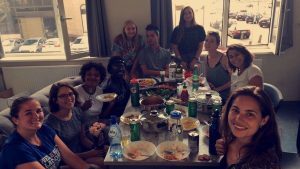 Just like a first year in orientation week, I am learning and experiencing constantly. There are back to back activities scheduled and mandatory meetings happening activity fairs are taking place outside. Organized chaos at its finest. Trying to do it all is tiring in and of itself, but trying to fully experience what you are doing is even harder with no rest inbetween. Two important lessons I had to relearn is that it’s okay to be tired, and that it’s okay to do things alone. 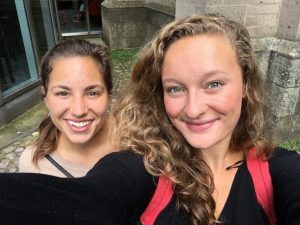 It can be so easy in the beginning to feel pressured to always be social and participate in every adventure that your group of newly-made friends may be going on. Yet some of my favorite memories, so far, have been discovered by myself. 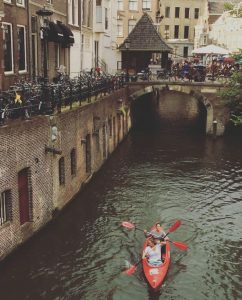 I spent a day biking around Amsterdam’s city center exploring local markets, boutiques and second hand stores. Once I was familiar with an area, I would lock up my bike (*very important step*), settle down by a canal, and have a mini picnic with me, myself, and I.This time alone allowed me to observe and to absorb my environment. I enjoyed playing a little game with myself called “guess the tourist” when gazing at the bustling bike paths. It is quite amusing to watch all the newcomers make the same mistakes and experience the sharp learning curve that I too, had to learn when biking in Amsterdam. Just like being the first year traveling from, Minnesota to Eastern Washington for college, everything is new, everything is a little different, and it’s awhole lot of fun. 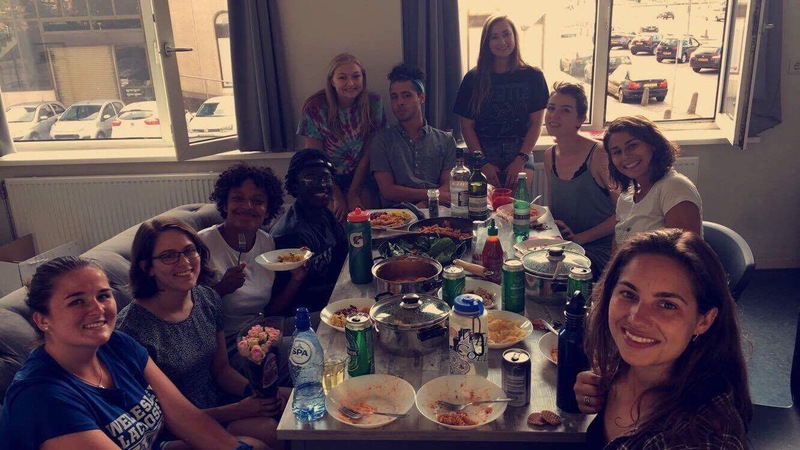 It has been amazing to look back at photos from even the first week in Amsterdam and see how much I have changed, learned and grown in such a short amount of time. Time is already flying by, and this blog serves as a little mentalnote to take time to myself, slow it down, and appreciate where I am physically in the world, and where I am mentally in my life. Feline, one of my fellow flatmates, and I in Utrecht! This entry was posted in Uncategorized on September 14, 2017 by Mary Kampa.